Ferguson Case Orr Paterson is pleased to announce that Josh Hopstone has accepted the firm’s offer to join the partnership effective January 1, 2018. 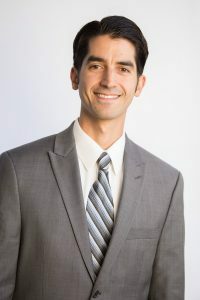 Josh has been with FCOP for seven years and has built a strong practice focused primarily on complex business and real estate, land use, and construction related matters. He is also an accomplished appellate advocate. We look forward to practicing with Josh for many years to come.